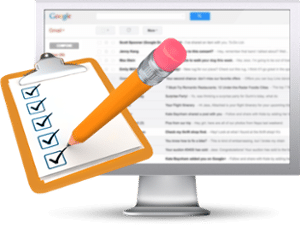 Free Email Exposure Check - Symtrex Inc. Which email addresses are exposed on the Internet and are a target for phishing attacks? Today, your employees are frequently exposed to advanced phishing attacks. Trend Micro reported that 91% of successful data breaches started with a spear phishing attack. Are you aware that many of the email addresses of your organization are exposed on the Internet and easy to find for cybercriminals? With these addresses they can launch social engineering, spear phishing and ransomware attacks on your organization. To help prevent these attacks you should investigate your email attack surface and find out which employee’s email address are exposed. Through our partnership with KnowBe4 we can help! Their Email Exposure Check is a one-time free service. NOTE: We need your organization’s email address (your own domain name) to run the EEC, not an email from an ISP like Hotmail or gmail.